Co-Founder of @dribbble. Designer, author, and speaker at SimpleBits. Owner and maker at advencher.co Dad in real life. 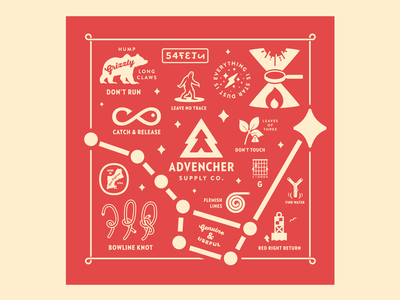 Advenkerchief — Why not make a bandana featuring a bunch of Useful Skills™ to keep in mind while out and about? 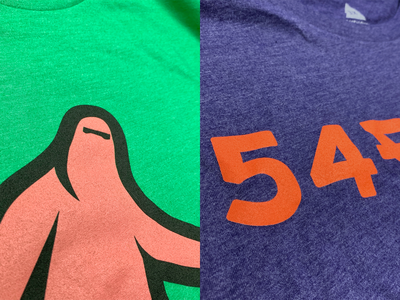 Coming soon to advencher.co. TEESDAY — Happy TEESDAY! Yeah, I know it's Monday. 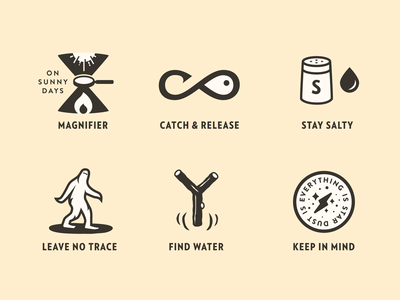 Two new tees just landed in the Advencher Supply Co. shop: Leave No Trace and Safety In Numbers. Check 'em out! 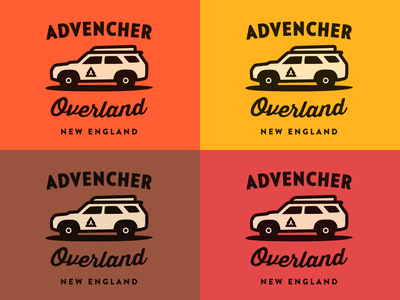 Advencher Overland — Just for fun. I'm building white 4Runner into an overland Advencher mobile. Always Be Branding™. 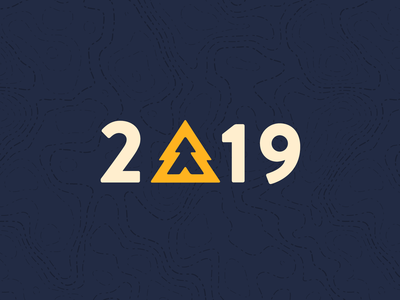 2019 — Just fired off the 3rd installment of the Advencher Club News. You're subscribed, right? :) Feeling positive about 2019! 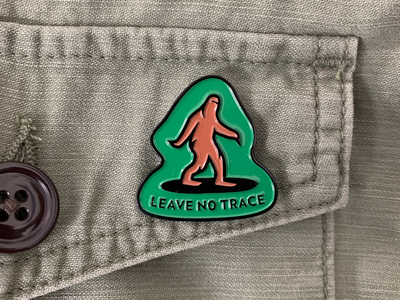 Leave No Trace Pin — Fresh off the FedEx truck! 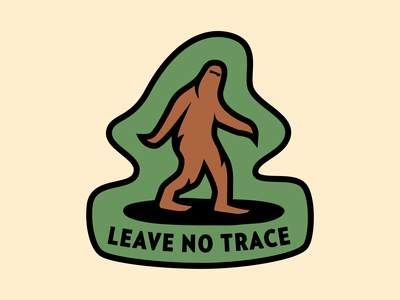 Soft enamel pin for our Useful Skill #9: Leave No Trace. 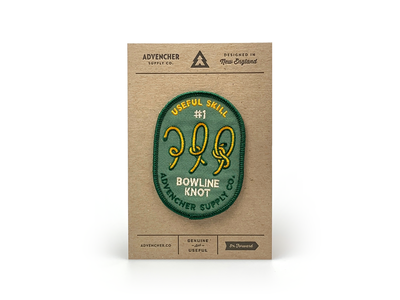 No one has mastered this skill better than Bigfoot. 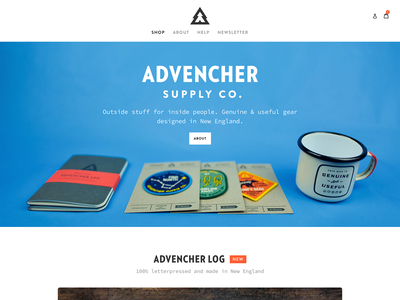 Coming soon to advencher.co! 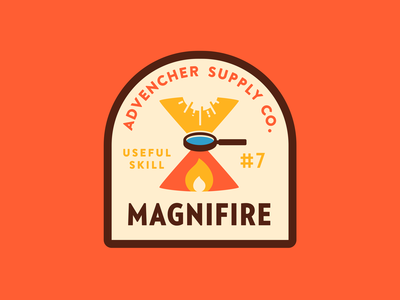 Magnifire — Useful Skill #7 is starting a fire with a magnifying glass on a sunny day. 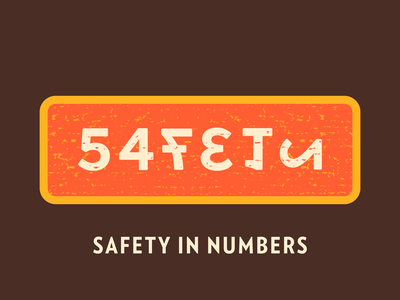 Safety In Numbers — Useful Skill #13: Safety in numbers, folks. 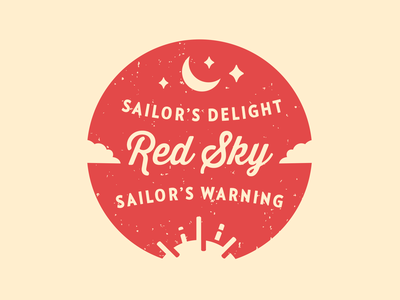 Red Sky — Red sky at night, sailor's delight. 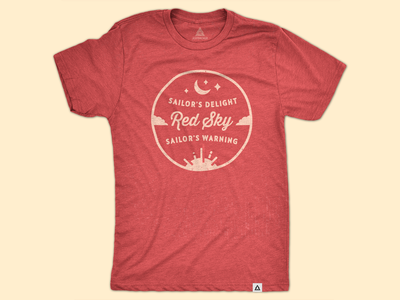 Red sky in the morning, sailor's warning. 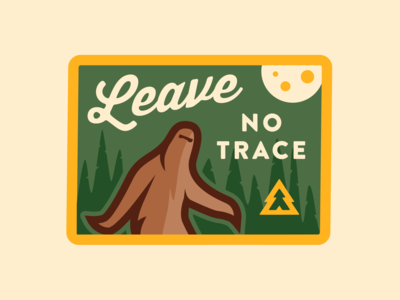 Leave No Trace Pin — A pinpossibility. 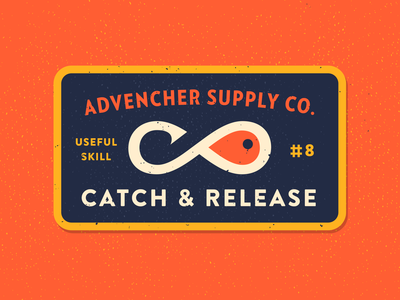 Useful Skills #7–12 — Fine tuning Useful Skills #7–12 for Advencher Supply Co.
Catch & Release — Useful Skill #8 (yes I realize there have been three other #8s :) I've recently taken up fly fishing casting. Practicing catch & release is just fine by me. 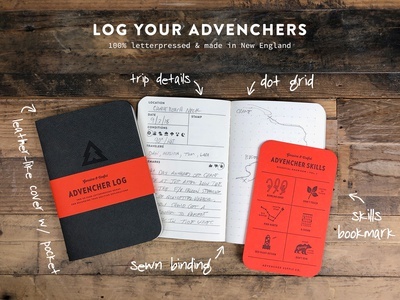 Log Your Advenchers — Working on some promo for the new shop, which I'll be launching very soon: advencher.co I've been saying soon for probably a year. But really, soon. 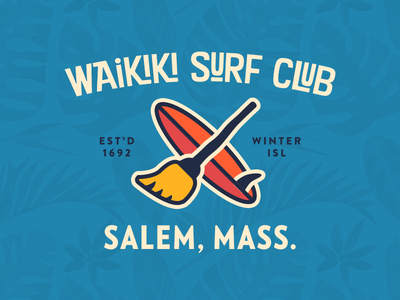 Waikiki Surf Club — We have a Waikiki Beach here on Winter Island in... Salem, Mass. Named by the soldiers stationed there during WWII. I whipped this up for an upcoming fundraising tiki party for a local charity. 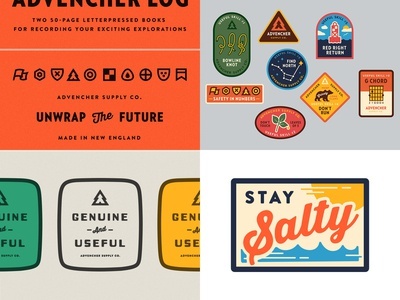 Pinning — Vectors get physical. Hard enamel gold and black pin on a letterpressed chunk of chipboard. 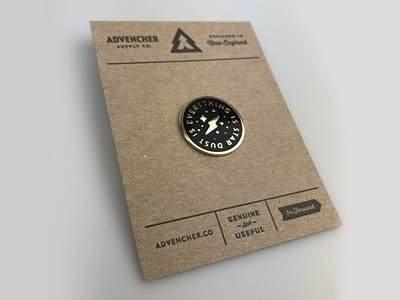 Coming soon to an Advencher Supply Co. near you. 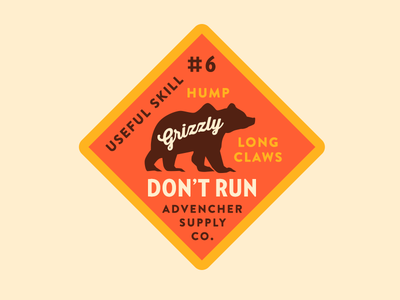 Don't Run — Useful Skill #6 is ... Don’t run from a grizzly bear. You can tell if it’s a grizzly if the bear has a hump on it’s back and long, vicious claws. I’d probably run regardless. 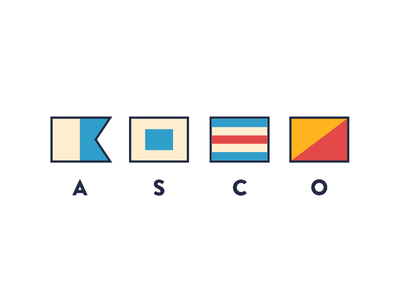 ASCO — I have all things summer, nautical and salt water on the mind these days. 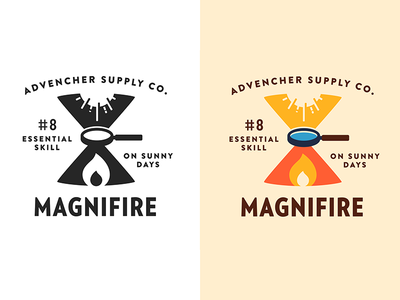 Here's a signal flag set for A dvencher S upply C O.
Magnifire — Advencher Supply Co.'s Essential Skill #8 is ... MAGNIFIRE. 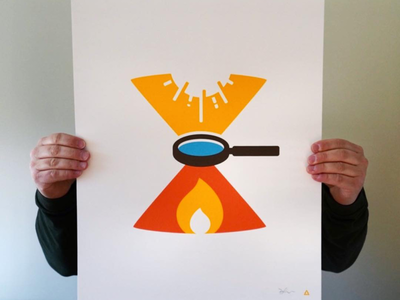 Just remember—on sunny days—a magnifying glass + our sun is all you need to start a fire. I can vividly remember doing this as a kid. But do be safe out there. 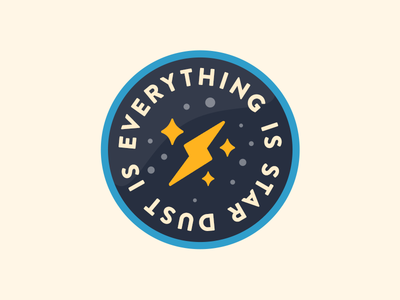 Star Dust Pin — Perhaps an enamel pin.